Why do people come from all 50 states to shop New York’s flea markets? Because this is where the treasures are. Here, you’ll discover must-have items you’ll never see in a department store at any price. Flea markets, rummage sales and town-wide garage sales let you find lost antiques, curiosities and plain great bargains, while you meet new people and sharpen your bargaining skills. 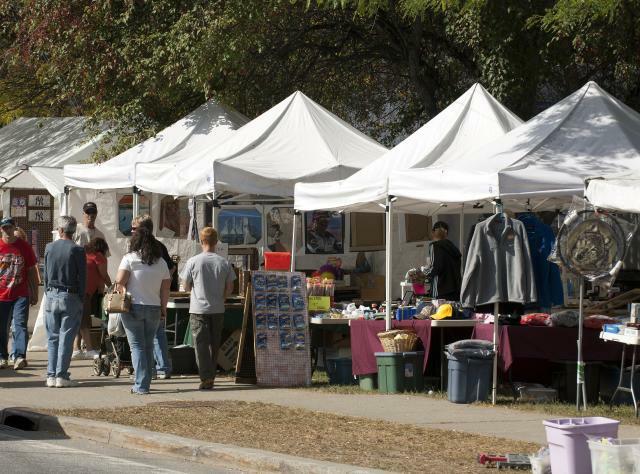 Some communities host ongoing events like the weekend flea markets in Beacon Flea Market, Port Chester and Callicoon. Found in Ithaca specializes in antiques and unusual objects scattered among dozens of vendors offering vintage furniture, estate jewelry, rare books and eclectic art. New York City flea markets abound, including Hell’s Kitchen Flea Market, named a Top Ten Shopping Destination by National Geographic. Manhattan’s Malcolm Shabazz Harlem Market brims with traditional African crafts and textiles, including hair-braiding boutiques, carved figurines and handmade clothing. You can also groove to global tunes and taste African dishes. Brooklyn Flea boasts hundreds of vendors of antique furniture, vintage clothing, collectibles and antiques, curated jewelry and art. There’s more than fresh produce cooking these days at New York Farm Markets. With such diverse offerings as handmade crafts, candles, artwork and gadgets galore, these marketplaces add spice to a flea market outing. The bottom line—you never know what you’ll find next at a New York flea market, and that’s half the fun.